Super detailed self-gauging curvable Tie Strips, Switch Ties, and Switch Kits! We offer these sample packs of six feet. Just enough to try CVT out! Try your ideas and you will see how easy it is to use. If you like this material we also offer 50 foot bulk packs for your most visible track. 50 lengths will go down fast, so you may want to buy more than one box! Self-gauging molded tie-plate detail for code 83, & code 70, and some code 55 rail! Scale 8ft. long ties spaced about 23in. (Branch Line). 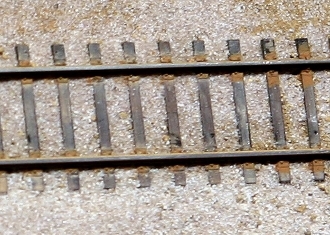 0.065 from road-bed to rail foot (Branch Line). Special "Half-Tie" at ends for gluing strips end-to-end for long smooth runs! 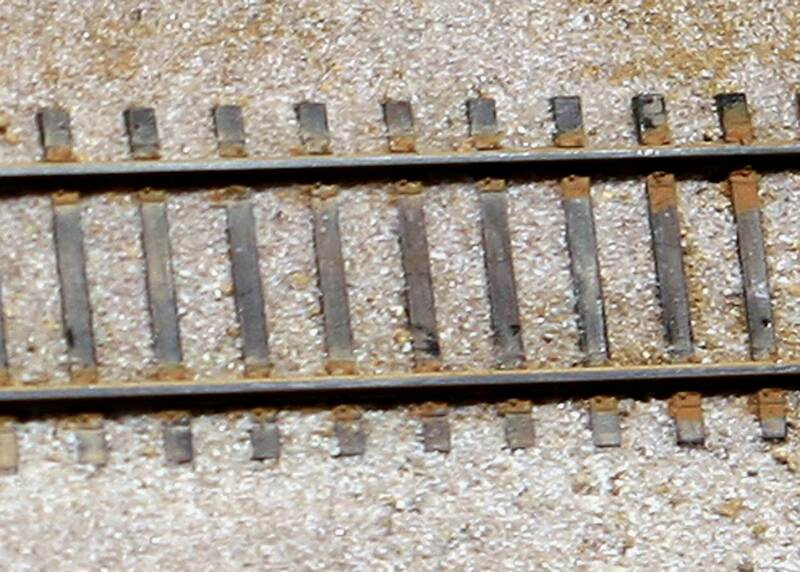 Flexible connecting web at bottom of ties for realistic ballasting that has space (air) under rail foot! Alignment Sights to aid in following curves along a centerline created by the modeler.